Posted 6 February 2018 by Sam Brickley & filed under Articles, Business, Gaming, Internet, Marketing, Money, Sport, Technology. Now, the majority of us associate games and gaming with pastimes. They are fun and non-consequential. We play them for the sake of playing them, right? Well, you might be surprised that some of your favourite games truly do have profound benefits for your business practice. Don’t believe us? Well, read on to find out why you should consider spending a little more of your free time playing! Though puzzle games may not be marketed as explicitly educational games, they still get the brain working and often encourage users to think creatively and outside of the box. They teach in a more subtle but equally effective way! Take a traditional game such as Tetris. This has been around for years, and most of us will have played it at one point or another. Generally, this game is perceived as a bit of fun to bide time. 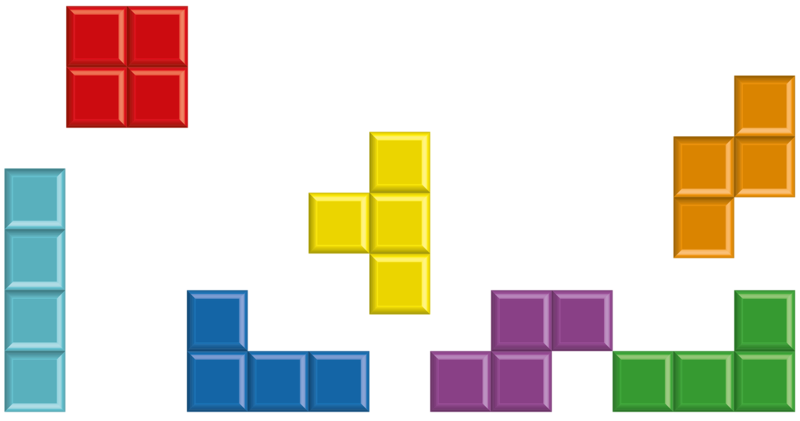 But if you think about it, Tetris actually encourages the use of logic, foresight, and problem-solving. In gameplay, this benefits you by giving you the most points possible and allowing you to proceed through succeeding levels. However, you will gradually begin to implement these skills into your day to day life and logic, foresight, and problem-solving can see your business rapidly progress and be prepared for difficulties or sudden change. This is just one of these types of game available. Other more modern options that provide similar skills include Bejeweled and Candy Crush Saga. While many of us associate bingo with the elderly, there are plenty of benefits that the younger generations can gain from this game. This game emphasises the importance of listening and paying attention. If you lose focus for just a moment, you could miss an important piece of information and make losses. This same concept applies to business world! You always have to be aware and prepared. But don’t worry. You don’t have to head out to your local bingo hall to participate in this game. Instead, take a look on Bingo Power, where you can play online from the comfort of your own home. Role-playing games (otherwise known as RPGs) have achieved mass popularity since the 1990s and, generally speaking, people would consider them sheer entertainment. The gist of this type of game is that you take on the role of a protagonist character and then take them on a journey through (more often than not) fantasy lands. You engage in quests, battles, adventures, and tasks. So, how can fantasy play benefit real life business? Well, first, the games give you the opportunity to place yourself entirely in another’s shoes. You begin to contemplate others’ reasoning, actions, and next steps. This is essential for any business owner, as to succeed in product or service development and making sales, you need to place yourself in the position of the consumer market. You need to question what these individuals want, what they would be willing to sacrifice their money in exchange for, and what would spur them on to choose you over the competition. In RPG you also have to multitask, tracking several physical objects at once and balancing the importance of different tasks at once too. This is, again, brilliant for business practice, especially if you are a business owner who has to prioritise and balance multiple tasks all day every day! So, there you have it! You really can gain and practice valuable business skills through playing games!